Closing the week on Naver V app’s Friday lineup was Girls’ Generation’s Taeyeon, who tuned in to talk about her upcoming EP “Why ? The 2nd Mini Album” and her newest music video release. The singer also went on to reveal that she is currently preparing for her solo concert performance. The remaining track of Taeyeon’s “Why” album is expected to be released at midnight on June 27. Girl’s Day Yura also graced the V app lineup on Friday in a solo episode. 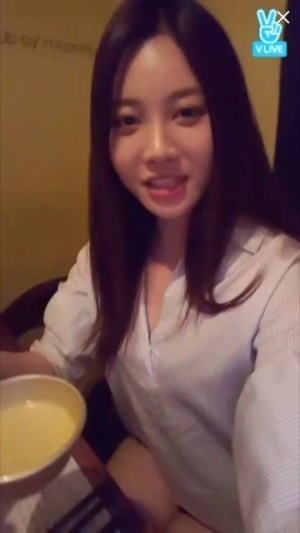 “Hey everyone, what day is today?” Yura asked, kicking off her broadcast inside a makgeolli restaurant. “That’s right, today is our drinking date,” she added with a wink. 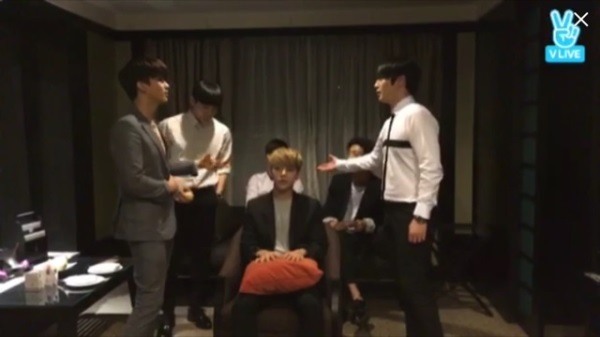 While showing off the restaurant’s unique nurungji, or scorched rice, makgeolli, the singer asked viewers to prepare their own drinks while tuning in on the V app, so that it would seem like they are enjoying a night out drinking with the starlet. 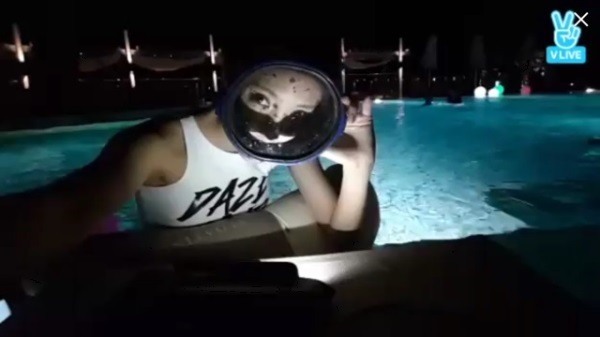 Yura repeatedly reassured fans not to worry because she would not be going overboard with the drinking and the purpose of the episode was not to get drunk. For the rest of the show, the singer continued to converse with her fans, answering personal questions. She even called one die-hard fan -- much to the fan’s surprise -- during the live episode.